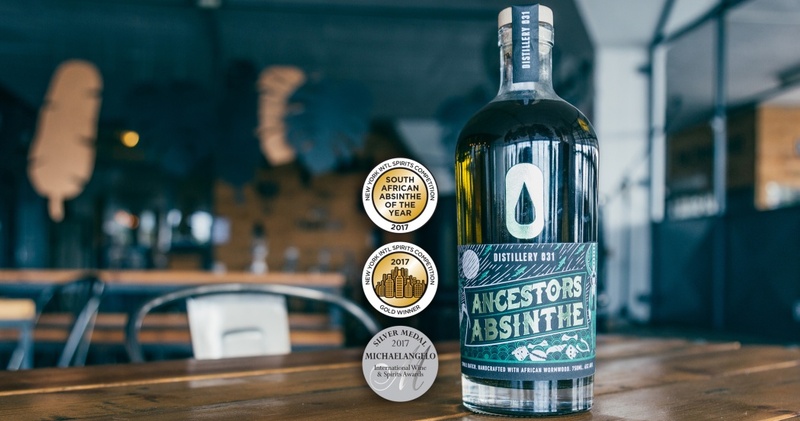 Ancestors Absinthe (60% ABV) is made in a traditional French style. It includes the characteristic anise and bitterness of grand wormwood. What makes our absinthe unique is that it contains indigenous botanicals not found anywhere else in the world. Most prominent of these is African wormwood, which has a more subtle and less bitter flavour than its European cousin. We also use Impepho, a herb used by traditional Zulu herbalists and shamans, which adds a slightly minty flavour. Absinthe originated in Switzerland in 1797 as an elixir, but soon became the popular drink amongst artists and writers. It inspired the creatives of the day and appeared in works by Pablo Picasso, Vincent van Goch, Oscar Wilde and even Ernest Hemingway. By 1912 Absinthe became so popular in France that the wine and cognac industries managed to get it banned in order to limit competition with their products. They commissioned fictitious studies which claimed that absinthe is harmful to one’s health and induces psychosis. In 2007, after 95 years, the Europe Union and the US unbanned absinthe after a detailed scientific study debunked the myth that Absinthe was hazardous. Absinthe is now legal, so long as the thujone level present is less than 10 parts, per million. Thujone is the active ingredient in grande wormwood, or Artemisia Absinthium (where the name originates) and without grande wormwood, the liquor is not an absinthe. Ancestors Absinthe is bottled at 60% ABV, so it is best enjoyed in moderation. For an authentic absinthe experience, visit Distillery 031 and book an Absinthe tasting. We have a hand blown, glass absinthe fountain and French crystal absinthe glasses. 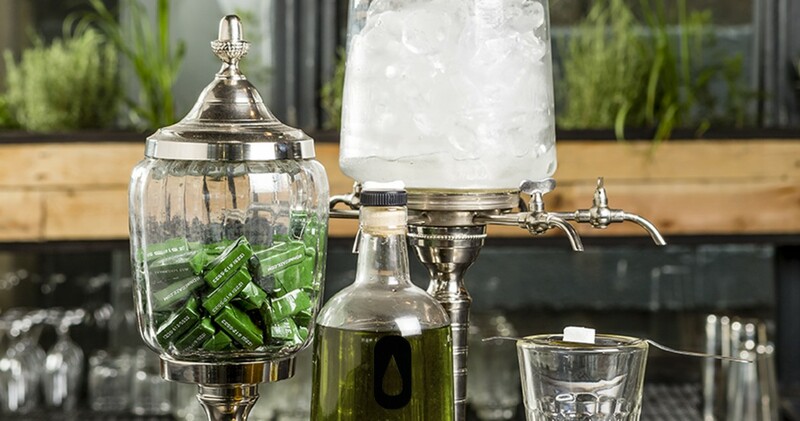 Enjoy Ancestors Absinthe in the traditional French manner as you watch the clear absinthe “louche” (become cloudy) as ice-cold water is dripped over a sugar cube.